Looking like a runty weird root with a bright orange core, the root Curcuma longa contains a spice that has health benefits called, turmeric. Turmeric contains curcumin, this active ingredient is found to have so many benefits to the human body it is considered a miracle spice. Curcumin from turmeric can help balance blood sugar by making the cells more sensitive to the signal created by insulin. Insulin has receptor sites on cells that send a signal for channels to open up and allow glucose into the cell for energy. When the cell is not sensitive to the signal from insulin, glucose cannot get into the cell and stays circulating in the bloodstream causing high blood sugar which, over time, leads to diabetes. A study in Thailand showed that 250 mg of curcumin daily helped prevent prediabetics from progressing into diabetes. Curcumin also protects beta cells, the cells that produce insulin. Curcumin can help joint stiffness and muscle soreness with its anti-inflammatory effects. It can also decrease the plaque formation in the brain that is associated with Alzheimer’s disease. Curcumin has also been shown to kill cancer cells. Curcumin can prevent oxidation of LDLs with its antioxidant properties. This can prevent cholesterol from being too sticky leading to plaque buildup in the arteries which can cause heart attack and stroke. It can raise HDL levels. HDL is the beneficial cholesterol that transports LDLs out of the blood vessels back to the liver. If you have a problem absorbing too much cholesterol through the intestines, curcumin can decrease the absorption helping to normalize cholesterol levels. Lp(a) is a genetic marker of heart disease. High levels are associated with sudden heart attack even in thin and healthy individuals. One study showed that taking 1000 mg of curcumin and 10 mg of piperine per day for 12 weeks has been found to decrease levels of Lp(a). You can find turmeric and curcumin supplements just about everywhere but I am concerned about the source. Some less reputable sources may contain contaminants and heavy metals which we want to avoid. I recommend Mervia SF by Thorne Research. It is highly absorbable, tested for contaminants and heavy metals, and contains 250 mg in each capsule. You can find in our clinic or through our online store. Turmeric is a wonderful spice to cook with and curcumin is a beneficial supplement to take. 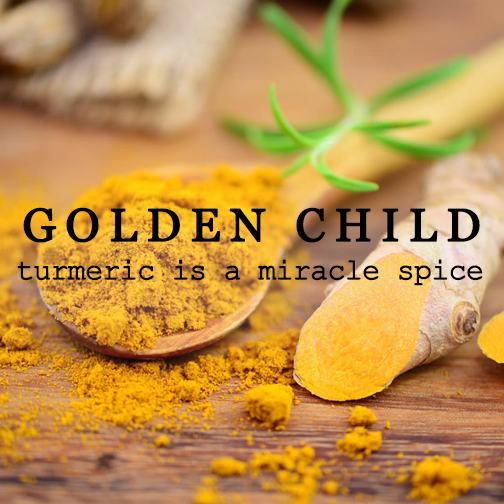 Try turmeric tea or golden milk if you are healthy and want to stay that way. Take the supplement form if you need to improve your health for blood sugar, cholesterol or inflammation.